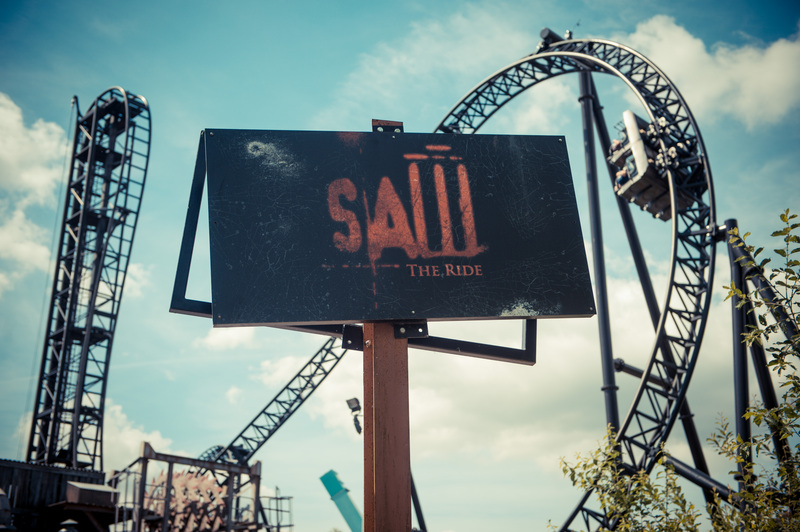 Even though I’ve never watched the film ‘Saw’, I thought this ride was great. At the start, the puppet, Billy, tells you what’s going to happen on the indoor part of the ride – it’s part dark ride and partly outdoors, which is one of the best things about it. The vertical lift hill/100° drop in the middle was really fun too – at least for me (my mum was less of a fan…)! 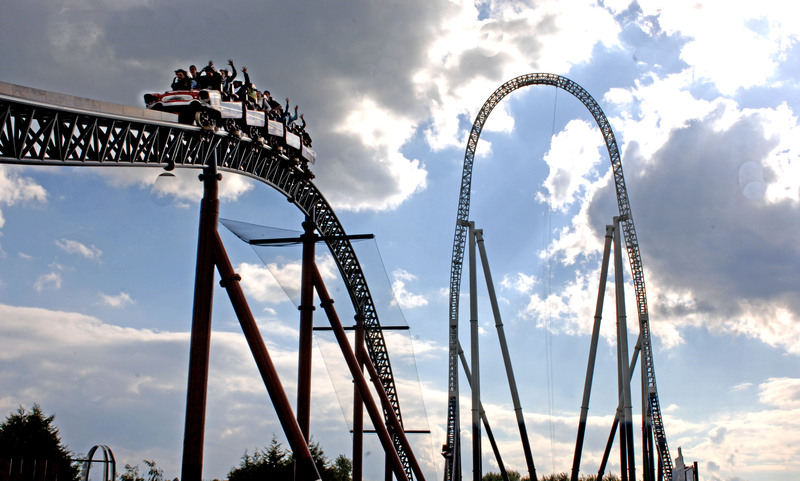 Don’t you think the Big One looks a bit lame after you look at The Smiler or Hurakan Condor? Well, dat ain’t da case. It’s actually really good and definitely worth going on. It’s like a mini-version of Shambhala. I think it’s good in different ways, like how it twists round on the first drop, and how long it lasts. My mum also liked the views along the coast. The only reason I don’t give it 5/5 is that it rattles a lot and it gave me a bit of a headache. The Smiler… OMG, EPIC! Upside-down 14 times – wheee, fun! The great thing about The Smiler is that it’s not too fast, so you can see what’s coming – all the more frightening, mwa ha ha. That’s better than getting messed up like you do with Nemesis where it all goes too fast for you to take it in. 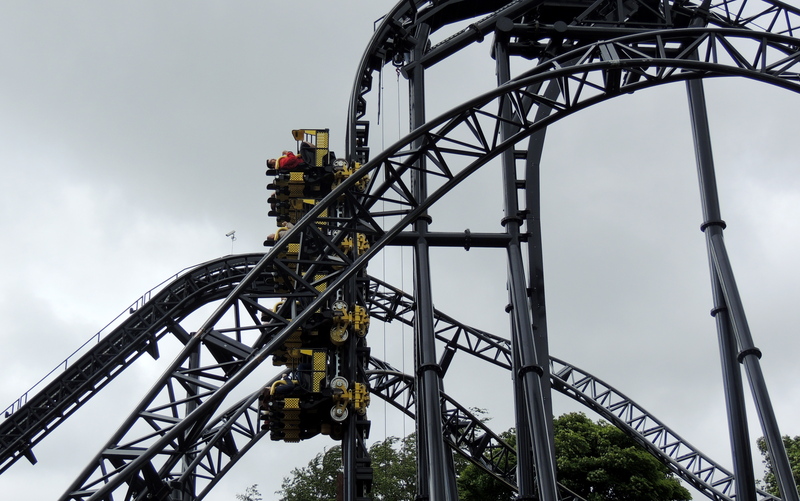 The Smiler is quite long and that’s good – and quite unusual. There are rumours about The Smiler having laughing gas on it, but that’s not true – trust me because I’ve been on it. The ‘mind manipulations’ are really just thematic extras and not so much part of the ride. The vertical lift (my first one) was amazing and weird. Seeing the ride as you walk towards it, it’s easy to see why it’s the most expensive ever built in the UK. I don’t rate this ride very highly because it is like Rita at Alton Towers – it goes too fast and is over too quickly (about 30 seconds once the pre-show is over). It is a bit better than Rita, though, because it goes upside-down. Furious Baco goes very fast – from 0–84mph in 3.5 seconds! – so it’s definitely an eat-my-dust kind of rollercoaster. WARNING: If you are just over 1.4 metres tall, like me, you will probably get a headache from being bashed around! 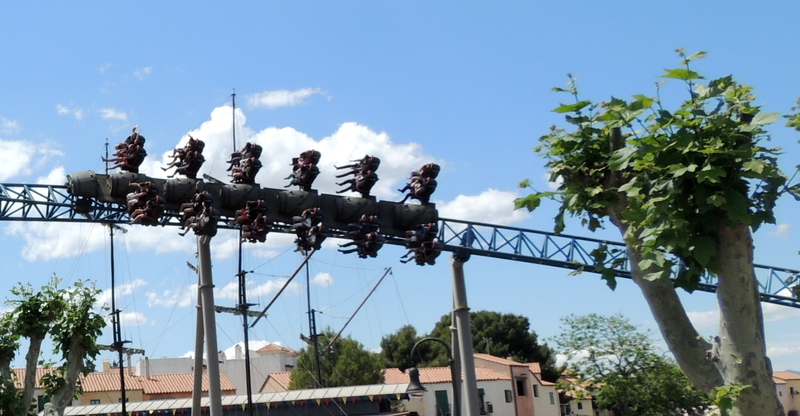 I think this ride was actually a bit better than the original Nemesis at Alton Towers because you know what’s coming – that makes you feel more excited. If you can’t see what’s coming, what’s the point? I also like this ride because they make it seem like you’re in a rainforest by growing tropical-looking plants. The fake fire is quite good too. 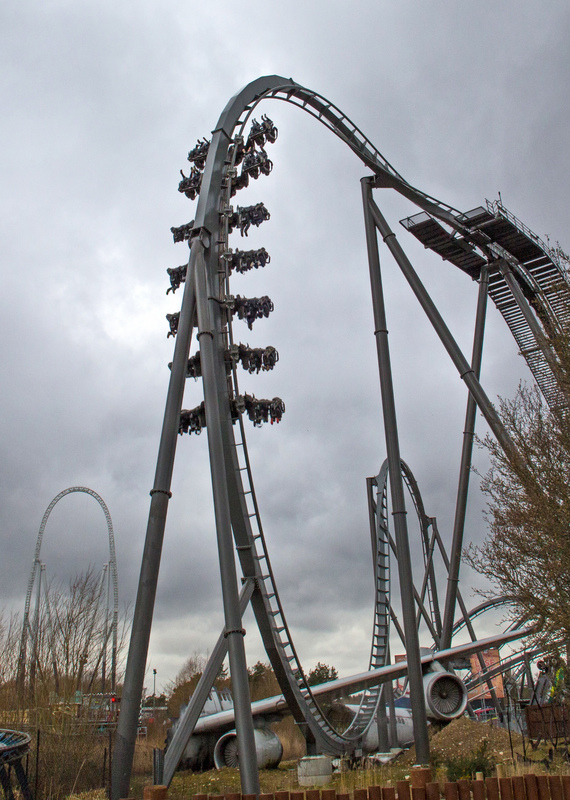 Stealth is a booster rollercoaster – which means it starts off really fast (0–80mph in 1.8 seconds!). It’s like Rita,Queen of Speed at Alton Towers (see below) but much much better, because it then shoots you up over a really steep ‘top hat’ (not literally though!). Signs warn you that sometimes it doesn’t make it to the top and rolls back down backwards – not for the squeamish but I think I might like that! The only thing is that it’s so short – I think it should maybe have another top hat or something at the other end. 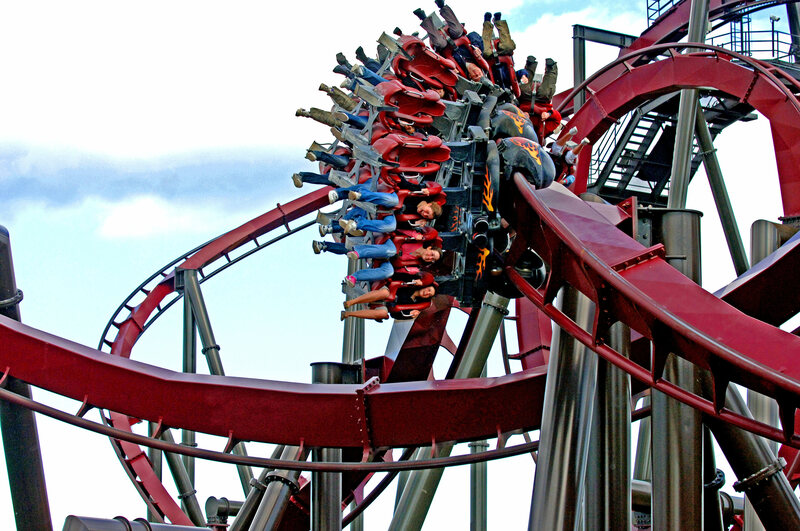 The Swarm is really cool because the first drop is an inverted drop – that means it twists round at the top to go upside-down and plummet at the same time. It felt really strange. The ride is famous for its ‘near misses’ (sometimes it’s supposed to look as if you’re going to crash into a plane wing, a billboard saying ‘Don’t Lose Your Head’, etc) but I didn’t think they felt very close – but that might have been because I was riding it at night-time (and because it was hailing as well!). Riding it backwards was very weird because you didn’t know when it was going to drop or even where you were at all. I think I liked it forwards the best because you could tell what the ride was really like, but you should absolutely try both for different kinds of thrills.